While a construction-to-perm loan can be used for many things, people primarily choose to use this type of loan to cover their costs when they’re in the process of building a house. Your loan amount is based on the projected value of your completed new home. All construction loans offer short-term financing – usually up to 12 months. If you’re not in the process of building a new home, a construction-to-perm loan can still be useful. You can also use a CTP loan to finance a renovation, expansion, or tear-down of an existing home, or even to purchase a vacant lot with plans to build your dream home. It’s available for owner-occupied, single-family dwellings, two-unit homes and owner-occupied second homes, but keep in mind these loans don’t usually apply to condos, co-ops, three-family homes, or investor properties. Convenience: A construction-to-perm loan is essentially two loans with one closing. You initially use the loan to finance the construction phase. Then, once your house is built, the loan automatically converts into a mortgage – which saves you the time and hassle of shopping and applying for a separate mortgage loan. Interest-only during construction: While your home is being built, you’ll only pay the interest on the outstanding balance. This frees you from having to pay a full mortgage payment on your new home while you’re still paying off the mortgage or rent for your current home. It also gives you more time to save for your mortgage payments. One-time closing: Many Lenders require a Construction loan involving one set of closing costs and then another Mortgage upon completion with additional closing costs. USALLIANCE offers a one-time closing cost with construction-to-perm loans which can save you hundreds or, even thousands, of dollars in fees. Lock-in permanent rates: USALLIANCE allows you to establish the terms that work best for you at closing. Choose between a fixed-rate or adjustable-rate loan with terms available between 10-30 years. USALLIANCE allows you to lock in your permanent mortgage at application so you don’t have to worry about rates increasing before construction is done. Flexibility: Construction-to-perm loans can be used with any home builder or neighborhood provided they are properly licensed and insured. It’s your choice. It’s important, though, to hire a builder who’s experienced in constructing houses within your price, style, and size parameters – and adept at staying within budgets and timelines. Do your research before committing to a home builder by checking client references and the Better Business Bureau. Credit scores: While construction-to-perm loans offer many benefits, you must have a FICO credit score of at least 680 to qualify. Down payment: Construction-to-perm loans feature a 20% down payment requirement – at least 20% of the loan amount is required, however it’s possible to finance 100% of the construction costs if the home’s future value has 20% equity based on the plans. Cost overruns: When building a dream home, it’s common to change your mind once - or a dozen - times during the construction phase about those little things that matter. Unfortunately, these changes can lead to delayed schedules and higher construction costs. 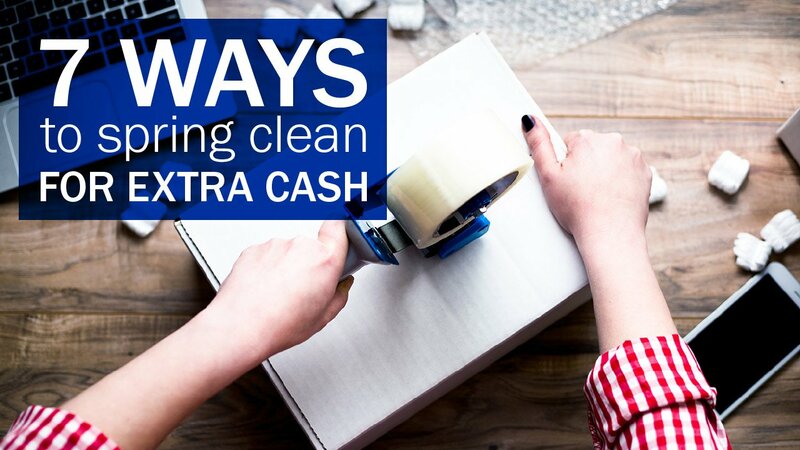 So, you’ll need to have adequate savings available to handle the added expenses. Loan limits: USALLIANCE also offers conforming and jumbo loans. A conforming loan – which is backed by Fannie Mae and Freddie Mac, and usually offers lower interest rates – features a limit of $484,350.00. You’ll need a jumbo loan for anything over that amount up to $1,500,000. Inspections: As your home is being constructed, it’s customary for the loan lender to periodically send an appraiser to review the progress and allow the Credit Union to disburse construction funds as work progresses. 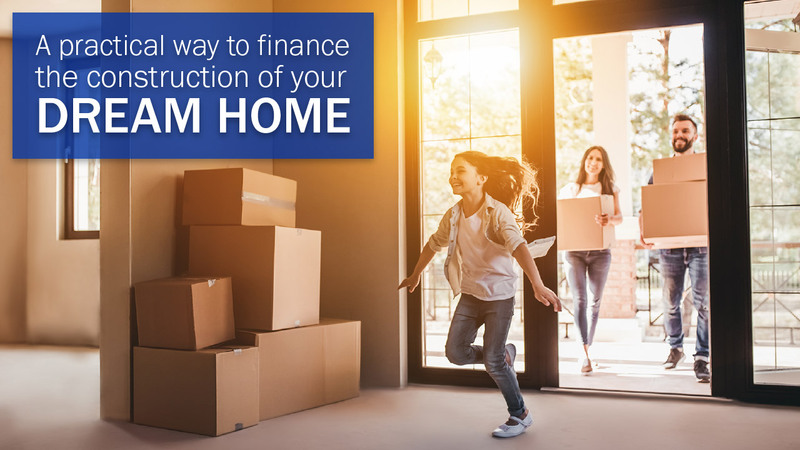 Building your home is a major life decision – and so is financing it. Our knowledgeable home lending specialists are ready to answer your questions. Please give us a call at (800) 431-2754, ext. 2320 or schedule an appointment today. Want to see if you pre-qualify for a construction-to-perm loan? You can do it online. *The material provided is for informational use only and is not intended for financial or investment advice.